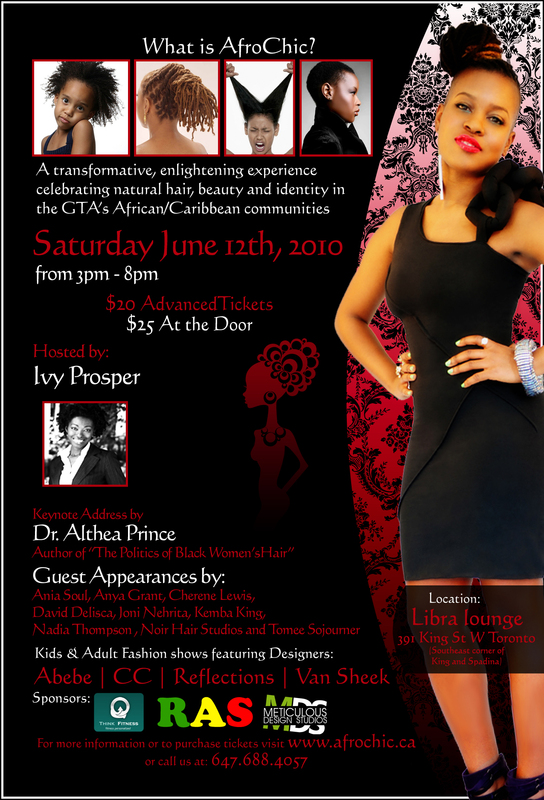 I don’t know, but you can find out on June 12 at Libra Lounge (391 King St. W) if you’re in the Greater Toronto Area. Unfortunately, I’m going to be out of town, so I won’t have a chance to see what these ladies are up to. The event sounds interesting — getting to hang out with other natural ladies and see what they’re doing with their hair is always a good time for a hair enthusiast like me :). Learn more about AfroChic here.